Saudi Arabia responds to Iran’s aggressive ballistic missile development. New satellite images suggest Saudi Arabia is now testing and manufacturing its own ballistic missiles. This discovery comes after a sharp increase in Iran’s ballistic missile development. Iran recently tested a medium-range missile capable of carrying multiple warheads. It attempted to launch a satellite into orbit. And most recently, it launched a missile directly at a tourist resort in the State of Israel. With Saudi Arabia deciding to launch its own missile program, fears of a Middle East arms race are higher than ever. Michael Elleman, of the International Institute for Strategic Studies, and Joseph S. Bermudez Jr., of the Center for Strategic and International Studies, agreed that based on the satellite images the Saudi facility will likely produce solid-fuel rockets. Solid-fueled rockets can be launched quicker and stored for longer periods of time than liquid-fueled rockets. Saudi Arabia purchases most of its military equipment from the United States, but these purchases have excluded ballistic missiles, since they are considered to be an important element in the development of a nuclear weapons program. Ballistic missiles fly above the atmosphere, giving them much greater range than cruise missiles, which have low flight levels. Cruise missiles are generally guided for the full duration of the flight. Ballistic missiles have propulsion and guidance until the warhead detaches from the rocket above the atmosphere. Then gravity and momentum guide the warhead to its target as it falls back to Earth. This is why Iran’s recent attempt to launch a satellite into orbit is so unnerving. Even though its satellite failed to reach orbit, the same technology could be used to further Iran’s ballistic missile development. The U.S. fears it could produce an intercontinental ballistic missile capable of striking targets up to 6,200 miles away. The evidence indicates that Saudi Arabia is seeking its own nuclear development program. The Saudi initiative to develop its own ballistic missile program, and possibly a nuclear warhead, makes sense considering Iran’s recent aggressive behavior. Iran has been working hastily to perfect its ballistic missiles. In an attack by Iranian-backed Houthi rebels in neighboring Yemen, some Iranian missiles reached Saudi Arabia’s capital city, Riyadh. In order to properly combat Iran, Saudi Arabia sees a need to keep up with Iran’s missile technology. However, this could put Saudis at odds with their longtime ally, the United States. Stratfor wrote, “[S]hould Saudi Arabia move into a test-launch phase, the U.S. will be pressured to take action with sanctions,” as it has done with Iran. After the murder of journalist Jamal Khashoggi, apparently by Saudi government agents, at the Saudi Consulate in Istanbul, the U.S. has become increasingly critical of Saudi Arabia. Launching its own ballistic missile program could turn the crack in the relationship into a breach. If Saudi Arabia produces “medium-range systems inherently capable of carrying nuclear weapons, the response will be much more robust, though likely out of public view,” Elleman said. “Congress, on the other hand, may lash out, as this will be seen as another affront to the U.S. and regional stability.” If Saudi Arabia can’t purchase what it needs from the U.S., it will be forced to look elsewhere, likely to China and Germany. It is unclear how the Saudis developed this missile facility, but the evidence points to one possible supplier: China. China has sold ballistic missiles to Saudi Arabia in the past, as it has done with other nations. In the 1990s, China helped Pakistan secretly build a ballistic missile development facility. This drew the attention of many Saudi officials. According to Jeffrey Lewis, a nuclear weapons expert at the Middlebury Institute of International Studies at Monterey, the new Saudi facility looks particularly Chinese in design. 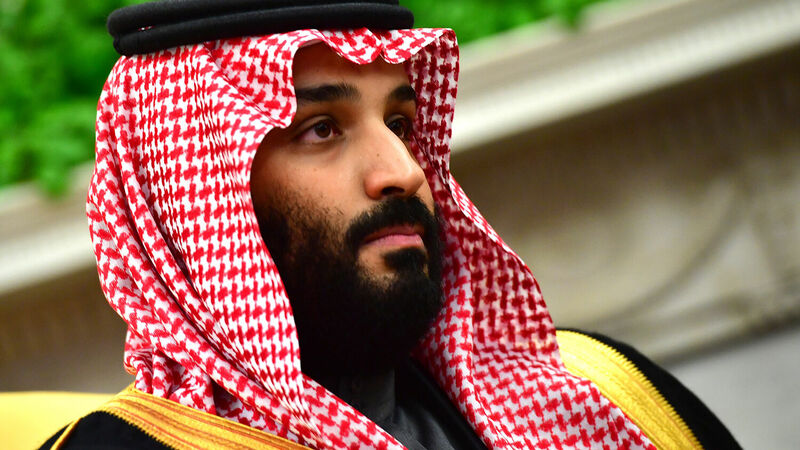 According to cnbc, Saudi Arabia is also China’s second-largest supplier of crude oil after Russia, and the Saudi share of China’s supply has increased 19.7 percent since 2017. Deuteronomy 28:52 shows that this “mart of nations” partnership will operate at America’s expense. “And he shall besiege thee in all thy gates, until thy high and fenced walls come down, wherein thou trustedst, throughout all thy land: and he shall besiege thee in all thy gates throughout all thy land, which the Lord thy God hath given thee.” Other passages of scripture such as Habakkuk 1 show that the power besieging America will be a German-led European conglomerate. Isaiah 23 shows that this European entity will accomplish this prophesied besiegement with China’s cooperation. This turn away from the U.S. will not only bring Saudi Arabia closer to China economically, but also to Europe. Psalm 83 mentions the Ishmaelites (modern Saudi Arabia) as being part of an anti-Israel alliance that may help Europe restrain Iran. Saudi Arabia fits perfectly into this mold. The Saudi kingdom has been caught sponsoring terrorism in Israel, and it has always been an enemy of Iran—the Arab-Persian rivalry goes back to the founding of Islam. Saudi Arabia has been pushed into developing its own ballistic missile program. Fears of a complete U.S. withdrawal from the Middle East along with Iran’s aggressive foreign policy are causing many moderate Arab nations, such as Saudi Arabia, to act. While the Saudis’ missile program may help keep Iran at bay, moderate Middle Eastern nations will need a greater power to fill the void left by the U.S.
With the upcoming launch of Saudi Arabia’s ballistic missile development program and the possibility of an arms race in the Middle East, watch for Saudi Arabia’s ties with the U.S. to begin to break and for the kingdom to instead draw closer to China and Europe.